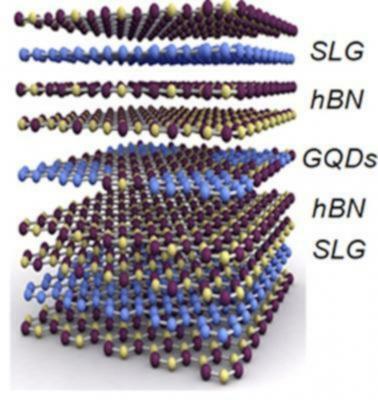 Researchers at the University of Texas at Austin, Columbia University, and the IBS Center for Multdimensional Carbon Materials at Ulsan have developed a new way to make high-quality “Bernal-stacked” bilayer graphene – an important material for electronics and photonics. The researchers have studied a way to make bilayer graphene that yields a high percentage of AB stacked material, and were able to produce sub-millimetre single-crystal AB-stacked bilayer graphene domains. In the CVD chamber used to grow their graphene, the researchers intentionally introduced a small amount of oxygen (parts per million concentrations). This oxygen, when combined with the copper foil substrate on which the graphene was grown, dissociates methane molecule precursors into carbon atoms. These atoms then diffuse through the copper foil and help form a second layer of graphene. Researchers at the Ulsan National Institute of Science and Technology (UNIST) announced the development of an iron-carbon composite catalyst that can contribute to a reduction in the costs of fuel cells and Li-air batteries. The carbon composite catalyst contains iron and nitrogen and uses a graphene nanoplate. It is reportedly better than existing carbon catalysts in terms of durability and performance, and allows mass production at a low cost. The researchers hope that it will be able to contribute to the commercialization of metal-air batteries.